We believe that wedding food should be as unique as our couples- NEVER bland or boring. That’s why we bring together our Chefs & Planner to craft every wedding menu based on the couples’ story & favorite dishes. Wedding menus can range from $75 - $125 per guest. This estimate INCLUDES all those things you’ve forgotten like servers, gratuity and tax! To view our separate Bar Packages CLICK HERE. Planning and coordination services are also offered. To find out more CLICK HERE. Call or TextAll Occasions Catering & Events Planning TODAY! 🍽Download our Reception Buffet Packages Here! 🍽Download our Deliverable Menu Packages Here! 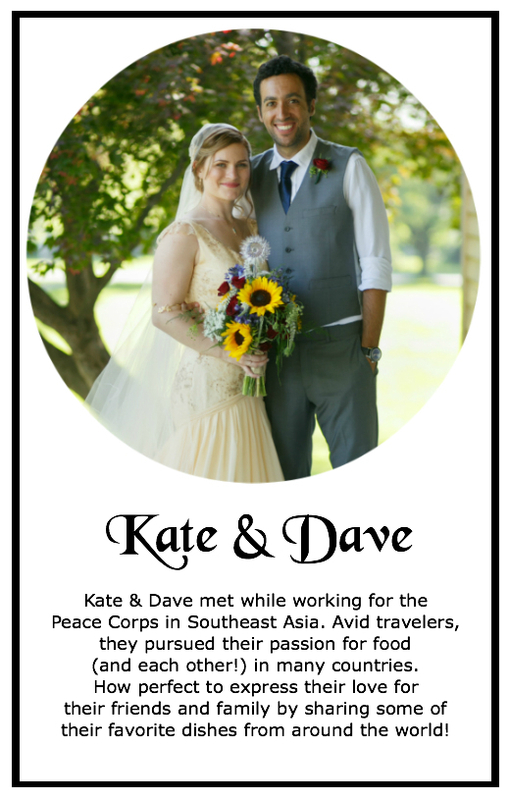 After designing this wedding menu, Kate, Dave and I realized that many of their guests had never tried any of the foods that were being offered. We strategized that a buffet staffed by knowledgeable servers would add a great deal of encouragement to try something new – btw, it worked! Mechoui Lamb with Pomegranate Seeds; Served on Flatbreads and Sprinkle on Cardamon! 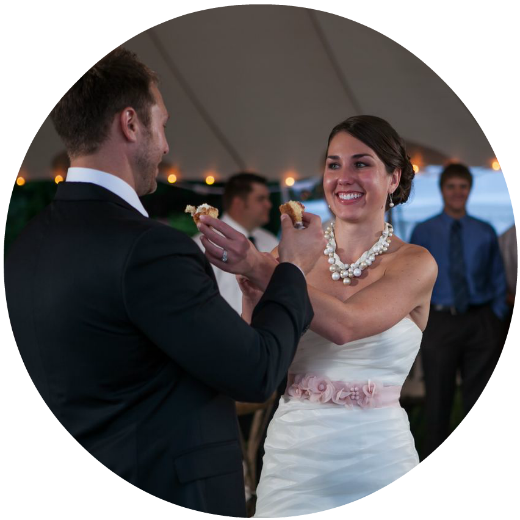 Both the bride and groom loved pie. So we went to their favorite pie bakery and brought in loads of pies! In keeping with the world travel theme, guests enjoyed an Italian Coffee Drink!